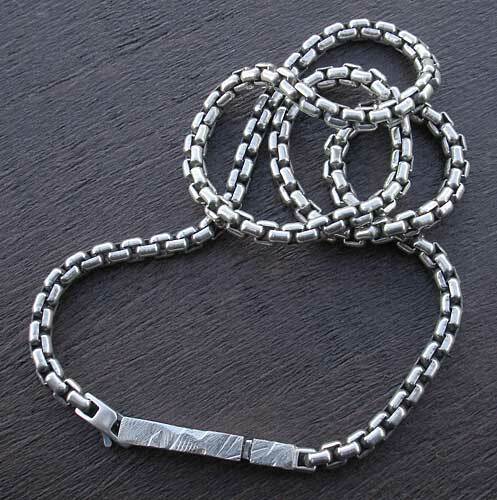 Silver Men's Chain Necklace : LOVE2HAVE in the UK! A solid sterling silver men's chain necklace. The chain consists of 4mm size square Belcher links with a 4mm x 26mm textured bar catch. The total length is 18 inches, and its weight is 32 grams. There is some oxidised and also textured detailing on the silver bar. This necklace is something you won't find on our high streets. A small independent designer has individually handcrafted it. 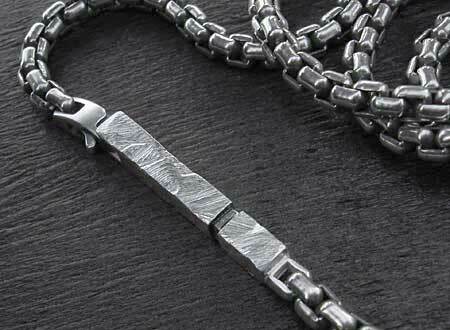 A simply stunning piece of chunky silver jewellery for men from our textured range featuring the lovely distressed texture on the silver pillar.